“Holocaust Memorial Day takes place on 27 January each year. 27 January marks the liberation of Auschwitz-Birkenau, the largest Nazi death camp. It is a time for everyone to pause to remember the millions of people who have been murdered or whose lives have been changed beyond recognition during the Holocaust, Nazi persecution and in subsequent genocides in Cambodia, Rwanda Bosnia and Darfur. On Holocaust Memorial Days we can honour the survivors of these regimes and challenge ourselves to use the lessons of their experience to inform our lives today. 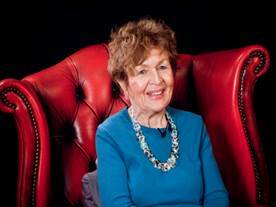 This year at Highbury Fields School we commemorated the Holocaust Memorial Day by joining a live webcast organised by the Holocaust Educational Trust of Holocaust survivor Janine Webber sharing her testimony. All Year 9 students had a chance to witness Webber’s testimony which lasted about 40 minutes. All students and staff involved were touched by what they heard. One common wish from all students was “we should never let anything like this to happen again”.